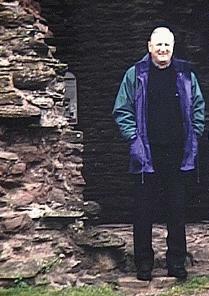 The Castles of Wales is honored to have been associated with the late Richard Williams. Although a resident of the English Midlands for more than 30 years, Richard was a native of Bangor, Wales, and was Welsh-speaking. After graduating from Cardiff University, he became a Chemistry lecturer and teacher until his retirement in August 1997. He also possessed an Open University degree. Richard Williams - Lecturer / Writer. Richard Williams was a free-lance lecturer and writer, specialising in the Medieval Welsh History of 1150 to 1450, including teaching courses for the Workers' Educational Association (Owian Glyndwr) and the Department of Continuing Education, University of Wales, Aberystwyth (The Two Llywelyns). His portfolio of lectures included such titles as Sir Edmund Mortimer - Traitor or Pragmatist, Owain Glyndwr, The Glyndwr Way, Owain Glyndwr - the Midlands Connection, The Two Llywelyns, and The Medieval Wedding. As well as having articles published in such heritage magazines as "Country Quest" (UK), which covers Wales and The Borders, Mr. Williams' writing has also featured in "Ninnau" (US) and "Y Drych" (US). Some of his work on castles can also be visited on this site, and examples of his photographic output appear here and in other historical sources.